Edit video and photo, make slideshow movie, and then share your artwork. 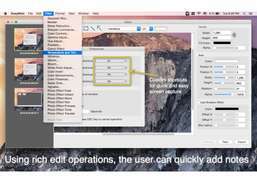 Import your own movie clips into built-in media library, which make the clips easily reuse, and then drop them right into the timeline. With Filmwizard's essential editor features, you can easily join, split, detach audio and sync clips without overlaps, then add transition effects, annotations and texts and voices. 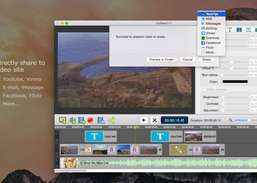 Filmwizard helps you do what you want to, it doesn't force you to become a professional editor just to get the job done. Everything you need is at you fingertips: split clip, cut blank, detach audio, fade sound, adds motion and transitions and record voice with microphone. 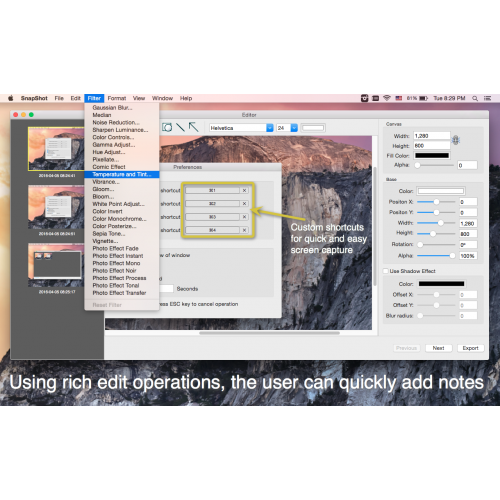 Create your own screencasts, professional quality tutorials and video demos. 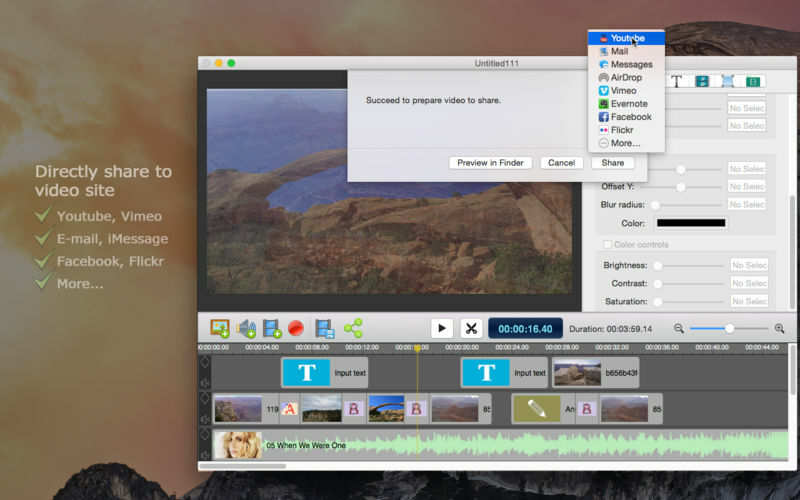 Powerful Video Converter designed for Mac users to easily convert between various video formats.